Wow! 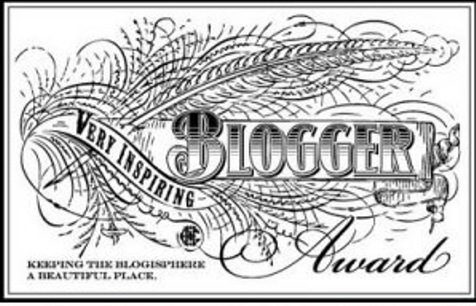 Thank you Shokubutsujin for nominating me for the Very Inspiring Blogger award. I’m not sure how inspiring my blog is but thank you! 1- Thank the amazing blogger who nominated you, with a link back to their blog. 2- List the rules and display the award on your blog. 4- Nominate other amazing blogs and comment on their posts to let them know they’ve been nominated. 1. My middle name was briefly Adam. I think Emily Adam sounds much cooler than Emily Anna but alas it was never meant to be when my parents corrected my record. 2. I am 5’2” and am enternally annoyed with that. I had a growth sprout in 4th grade, hitting 5’2” and that was it. I’ve been this tall since I was 10. 3. I am a clutz, a huge clutz. 4. I like to bake when I’m bored. Over the summer we had an abundance of zucchini in our garden and I made a lot of zucchini bread and tried some interesting recipes. 5. I am a night owl. 6. I am a big sci fi nerd. My favorite sci fi program is Doctor Who. Ten is my favorite doctor! 7. I am “allergic” to some metals and jewelry, especially cheap jewelry. My skin turns green and wherever the piece sits, aches and locks up (if its a joint) the next day. The people I’m going to nominate inspire me to continue to write, to share my story by sharing their own and their honesty on the subject of pain keeps me honest and without them, without this blog, I would feel so incredibly alone. I want everyone to know that they are a continuous inspiration, even if I somehow forgot you in this list that you inspire me. This great community keeps me going, keeps me strong as I remember that I have a place where I can honestly share my experiences, my thoughts, my fears, anything and then have it received in such a warm positive matter still amazes me. There are no words to stress how incredibly alone and isolated I was before I opened this wordpress account and began writing. The one thing I could only ever possibly hope to strive for would be to inspire others the same way you all do me. Awesome! Congrats on the mom. 🙂 keep it up. Have a great year. Oops! I meant ‘nom’ not ‘mom’.